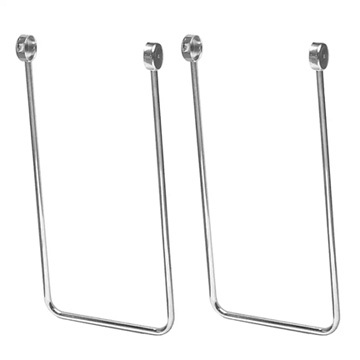 Pair of Tilt back stand for Vox Grenadier X or LS-40 4x10" PA columns - Chrome tubular steel tilt back stand for 4x10" Vox PA columns (13" cabinet width). Includes four threaded cabinet mounting plates, four friction washers, and four Vox logo handwheels. Cabinet mounting screws are not included, as they vary from model to model. These tilt back stands do not fit Grenadier XII or LS-48 (4x12") PA columns.